Our Club Bar membership is perfect if you want results! Our most popular membership allows you to feel and look your best with unlimited monthly classes and studio access. 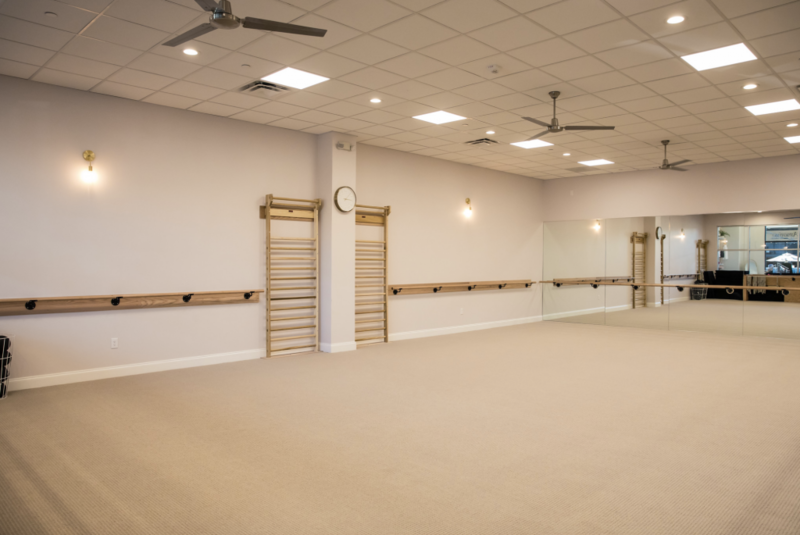 Enjoy the most perks, the most classes and build your barre community! Only $99 for your first month, followed by $180/month. 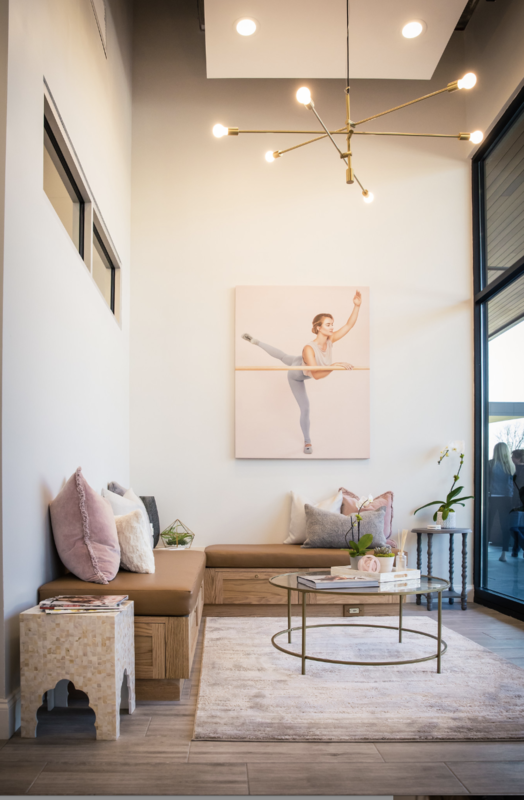 The Bar Method Fort Worth at Clearfork is a boutique fitness studio offering barre classes for students of all levels. The signature method uses your own body weight, the ballet barre and a few props to create a transformative workout that results in long, lean sculpted muscles. Not only does it reshape your entire body, but it allows you to channel your inner strength and leave class feeling strong, confident and poised. Highly-trained instructors customize the exercises to ensure they are safe and effective for any age and every body, including modifications for pregnant women and students with injuries. Our staff and community are here to support you from the moment you walk through the door. Which package works best for you? Our most popular membership allows you to feel and look your best with unlimited monthly classes. Enjoy the most perks, the most classes and build your barre community! Be prepared for transformation of your mind, body & spirit. * Renews monthly. First month discount for new students only. We understand you have a busy schedule. Whether it's work, kids, travel, or cross-training, our Club Bar 5 gives you consistent access to classes so you can ALWAYS get your barre fix! Whenever your schedule permits, come and delight your body, mind, and spirit with one of our invigorating classes! This package is perfect for those who require utmost flexibility. Or, for those who simply prefer to pay as they go! Bailey Kirby, originally from Salt Lake City, Utah, moved to Fort Worth, Texas to attend Texas Christian University in 2013. After graduating, she moved to Dallas to begin her career in marketing, but soon realized something in her life was missing. That’s when she discovered The Bar Method. Like so many others, taking class allowed Bailey to rejuvenate both her mind and body. A year later, Bailey planned to move back to Fort Worth, but couldn’t live without Bar Method. She decided to open a studio of her own, knowing the Fort Worth community would fall in love with Bar Method just as she had. Be the first to hear about promos, events, studio updates, and other news! No Location In Your Area? While walk-ins are welcome, class sizes are limited and can be sold out. We highly recommend reserving classes online or The Bar Method app in order to guarantee your spot in class. Reservations are studio specific and can be made up to 7 days in advance. Classes fill up quickly, but spaces will open up as clients reschedule. If you’d like to attend a class that is full, please put yourself on the waitlist. As soon as a spot opens up in class, you will receive either an email or text notification. Please reply to the notification immediately whether you can attend or not. Your spot in class is not guaranteed until you confirm. When you arrive at the studio, please check-in at the front desk. Reservations will be honored only up to the start of class. If you do not arrive prior to the start of class, your reservation will be given away to anyone on the waitlist. If you are on the waitlist for an early morning class, please call the studio before class or sign up for text message notifications to be sure of whether or not you made it into the class. If you cannot attend class, cancel your class online, on The Bar Method app, or call the studio to avoid being charged for a no-show. Early morning classes (6:00, 6:30, and 7:00 AM) require cancellation 12 hours in advance to avoid a penalty. All classes that begin after 7 AM require cancellation 1 hour in advance. If you are using a class package, a no-show or cancellation after the above cutoff window results in a loss of that class. If you are using a membership package, your account will be charged $10. First time students may not enter a class late. Arriving 10 minutes early is highly recommended. Returning students may enter up to, but not after, 10 minutes into class. Upon entering class, lift your knees 40 times to warm up before joining in. Please wear exercise pants that cover the knees (or wear compression/bike shorts under above-knee shorts), a top that cover the midriff, and socks that cover the entire foot. Students may bring their own socks from home, or purchase Bar Method socks with sticky grips at the studio. Please do not bring glass or uncapped drinks into the exercise studios. Capped water bottles are allowed. Please do not bring cell phones into the exercise studio. Lockers are provided with keys and we ask that you leave your phone in a locker along with the rest of your belongings. Please do not chew gum in the exercise studio. We provide towels without charge. Hand towels are available outside of Studio A, and bath towels are available in the shower area. Please leave your towel in the hamper on your way out. Disruptive students may be asked to leave. Please be respectful of fellow students and your instructor. Pregnant clients must provide the front desk with a note from their doctor allowing them to take strengthening and stretching classes. It is strongly encouraged that all pregnant clients take at least one pre-natal class before taking a standard class. We also recommend that pregnant clients avoid Level 2 and Bar Move classes. Pregnant students can opt to take the first half of the class (which focuses on the arms and legs) for half price. No clients are admitted before they reach 13 years of age. Clients under 18 must be accompanied by an adult. Please notify front desk staff and instructors of any illness or injury that may impact your ability to exercise. In some cases, a doctor’s note may be required to allow you to take class. If you have a cold or anything else that may be contagious we ask that you do not attend class. Mothers who bring children under age 9 must ensure they are in the childcare room during class. Children are not allowed to play or climb on the stall bars and other exercise equipment. You can make reservations for childcare either by phone, or in person, up to 7 days in advance. When reserving by phone, please indicate your name, the time of the class you plan to attend, along with the name and age of your child. 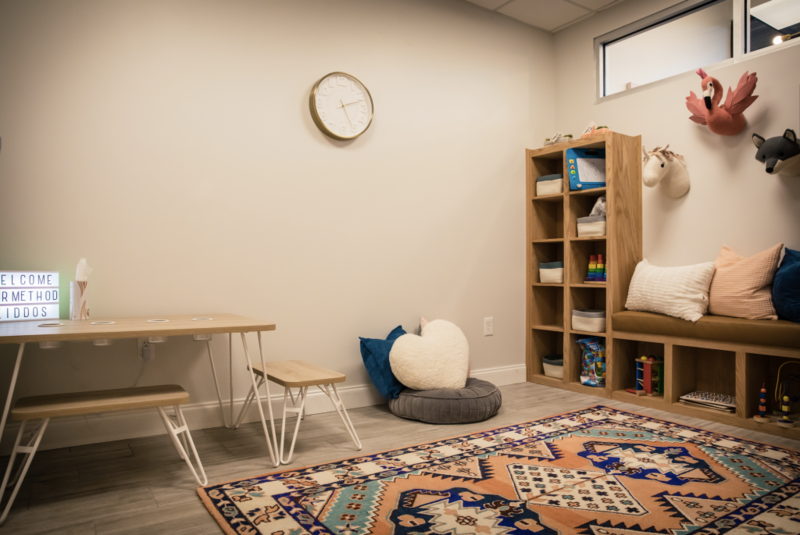 Childcare costs $14 per child and is available during class times on Mondays, Tuesdays and Thursdays from 8:30 – 1:30, Wednesdays and Fridays from 8:30 – 11:30 and Saturdays 8:15 – 10:45. We love your furry friends, but a waiver is required. Dogs may be kept in our back patio while you take class. We have both sunshine and shade with a bowl for water! If your dog does not stay quiet, you may be asked to leave. We reserve the right to refuse pet care to any pet. We do not have dedicated parking for the studio. There are a few meters located on Fillmore right outside the studio. There is also 2 hour parking located all throughout the Marina. You can find this by heading north on Fillmore. There is a lot at Ft. Mason where Fillmore dead ends. Club Bar members are allowed to freeze their memberships twice per year for up to 60 days. A fee of $25 is required each time you freeze your membership. Class package sessions must be used within 6 months of purchase. All sales on Bar Method classes are final. Retail items may be returned within 24 hours of purchase, unworn, with tags still on.